Are Misogynist, Homophobe, & TERF slurs? Help the trans community overcome Hurricane/Tropical Storm Harvey! Just to make it clear: I recognize no statute of limitations when it comes to gay participation in the creation of third-class status for trans people. I don’t use the word “culmination” if it involves something where there is anything that I feel that there is left to do. 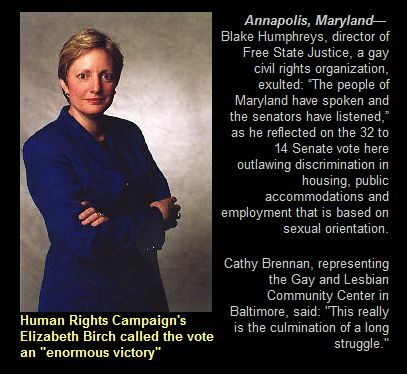 In 2001, Maryland gays got everything that they were wanting to get out of the Maryland Legislature in 2001. The only ‘compromise’ they made involved the lives of people other than Maryland gays. 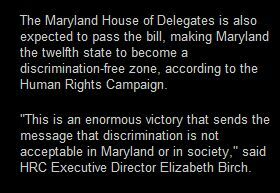 Do any of you out there feel that Maryland today is actually a discrimination-free zone? Do any of you out there feel that the status quo of Maryland law actually sends the message that discrimination is not acceptable in Maryland or in society? If the answers to those questions are ‘no,’ then you are rejecting the official narrative of official gay Maryland circa 2001 – which begs some questions: If you’re accepting the official narrative of official gay Maryland of 2011, why are you doing so? Are the lies of today’s official Maryland gays really that much more believable? Are today’s lies from yesterday’s official Maryland gays really that much more believable? Or have we become so numb that we can’t feel when we’re being politically sodomized? But if you’re conned into forgetting about how it was, how will you ever know that how it is is exactly the same as it was? …and your best interests aren’t on it.